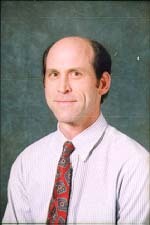 Ronald B. Mitchell is the founder and project director of the MEAD Project. He is a Professor in the Department of Political Science at the University of Oregon and was a Visiting Associate Professor at the Center for Environmental Science and Policy from June 1999 through December 2001. He earned his PhD in Public Policy at Harvard University in 1992. His book Intentional Oil Pollution at Sea: Environmental Policy and Treaty Compliance (Cambridge, MA: The MIT Press, 1994) received the Harold and Margaret Sprout Award for 1995 from the International Studies Association for the best book on international environmental issues. His research focuses on the effectiveness of international institutions at influencing the behavior of states and nonstate actors. He has published articles in International Organization, Journal of Theoretical Politics, International Studies Quarterly, Global Governance, and other scholarly journals. He has contributed chapters to books that resulted from research projects on regime effectiveness conducted by Edith Brown Weiss and Harold Jacobson; Peter M. Haas, Robert O. Keohane, and Marc A. Levy; Elinor Ostrom and Robert O. Keohane; Oran R. Young; and Samuel Barkin and George E. Shambaugh. He is currently a member of the National Research Council's Committee on the Human Dimensions of Global Change and of the editorial boards of International Organization, the Journal of Environment and Development, and Global Environmental Politics. He teaches courses on international relations theory, international environmental politics, and international regimes.